Ask anyone about their Dort Federal Credit Union auto loan, or boat loan, or RV loan. They’ll tell you about their low rates, the different options, the convenience of applying, and most of all, the personal attention they received – the kind that Dort Federal members have enjoyed for more than 65 years. 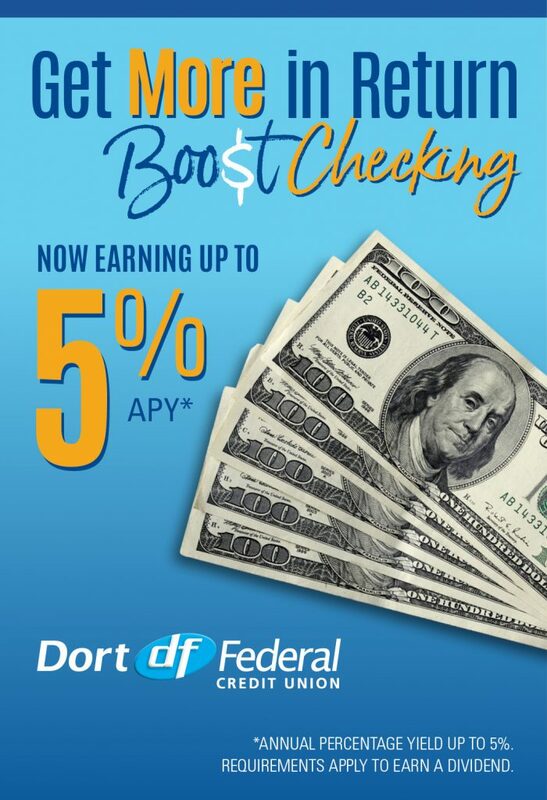 So when it’s time for that new ride, ask anyone about Dort Federal Credit Union, and discover what Dort can do for you. Also, if you’re shopping, be sure to check out our Autos for Sale and our AutoSMART stress free car buying.